I'd like to think that (with proper branding) New York and New Jersey could support 3 soccer teams. If the NHL can, so can the MLS. NYCFC: Drop the Manchester United template for something more iconic NY. The Yankees are part of the axis of evil ownership, and it's shocking that they haven't shoehorned themselves into the identity. The pentagon represents the five boroughs and a classic soccer ball shape. New Jersey Metrostars: Again, let's drop the corporate brand that is Red Bull. We can keep the shield shape as homage I guess. A simple star, a Newark skyline, and the black and white stripes of old complete the look. New York Cosmos: How is this brand not playing in the top American league? I tightened up the logo a bit long, long ago. Here it is again. Great job on all three. Really like the Yankees style on NYC. I must say though that if the NJ logo were released today it would get flack for having the same striping as Atlanta. NYC has a way more unique and local look, though I think the C has a slightly awkward change in stroke width when compared to the NY. 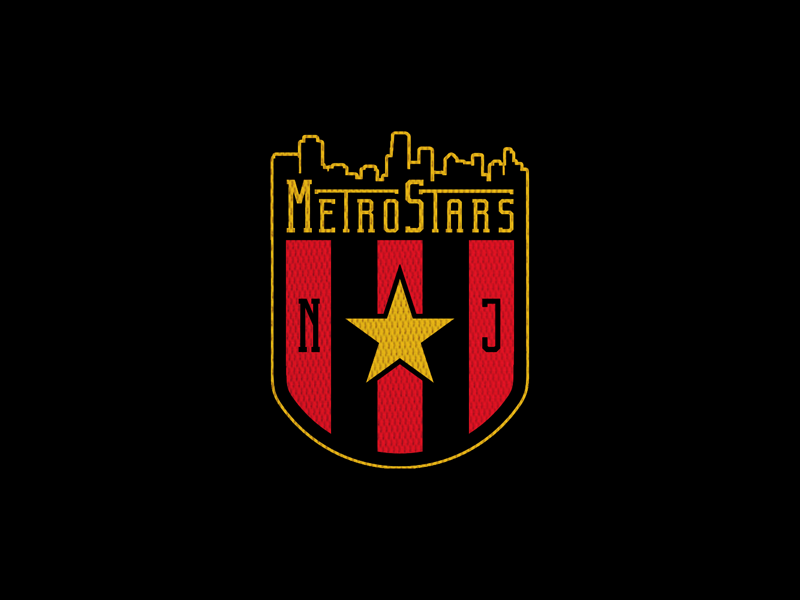 The MetroStars look good, but I'd have the logo say "MetroStars" to try to retain some of their New York fanbase. The Cosmos look pretty sweet! No complaints there! With your MLS crests graphic, the Cosmos' and Metrostars' text would be better in yellow. 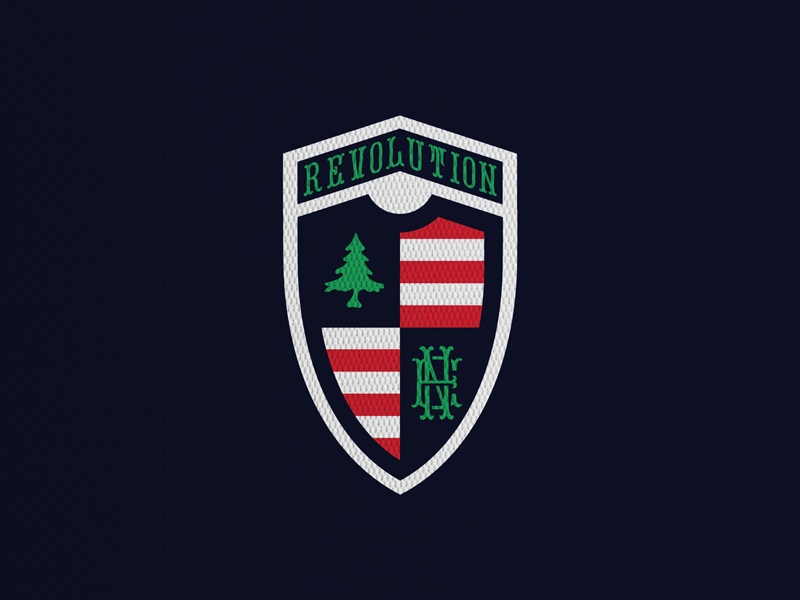 Maybe replace the sky blue with orange on the NYC one given there's no sky blue on the actual crest. Also, I don't think two-color MLS logos are allowed for the primaries, so Austin wouldn't work, as good as it looks. Leaning into their original wordmark. Fattening up the C just a tad. 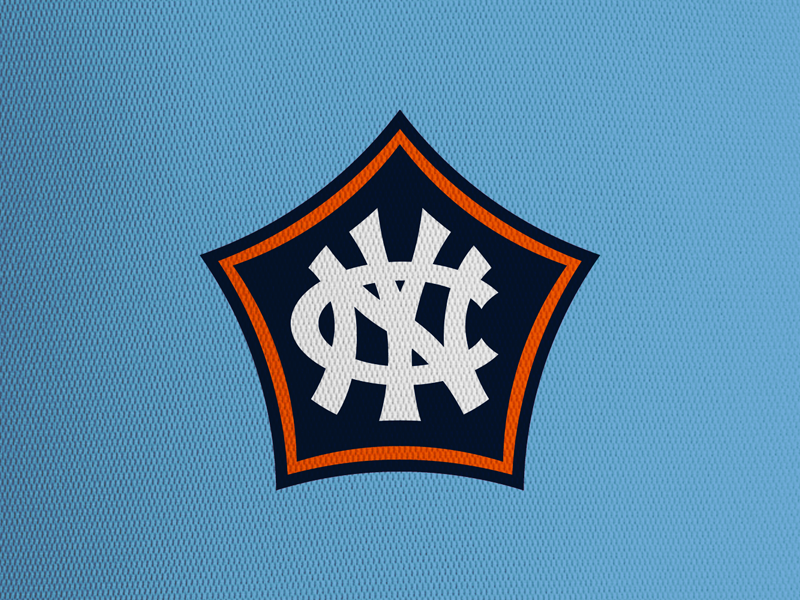 I think NYCFC is a great timeless logo, which looks like it's an 80 year old team. Cosmos are safe, nothing too outstanding to comment on but the bolder navy color does make it pop. With the Metrostars, I'm not sure why but I don't think it's strong enough. The revision above is an improvement with the addition of the team name. I think that the actual shape is what's hanging me up. I personally don't love completely rounded shields, but this feels sort of hung up on what it's supposed to be. Also what city is the skyline of? I don't think it necessarily works here with no distinct iconic buildings. The MetroStars logo just looks... unfinished. I'd find a way to integrate the skyline element into the design instead of the shape. The MetroStars logo doesn't work for me at all. I wouldn't say that it looks unfinished. It just looks unbalanced. The utterly busy and overly detailed top of the mark doesn't harmonize with the rest of the logo – which is very old-school. I completely agree with @raysox on the other two logos. 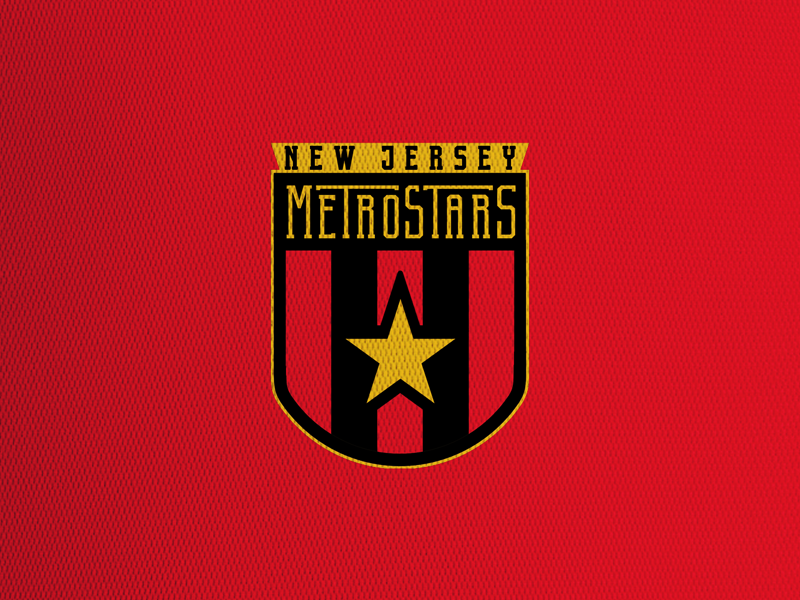 I think I tried to shoehorn in too many elements of the original Metrostars look into this, while also trying for the simple and iconic stripes/star. Time to rework a bit. Any more ideas? 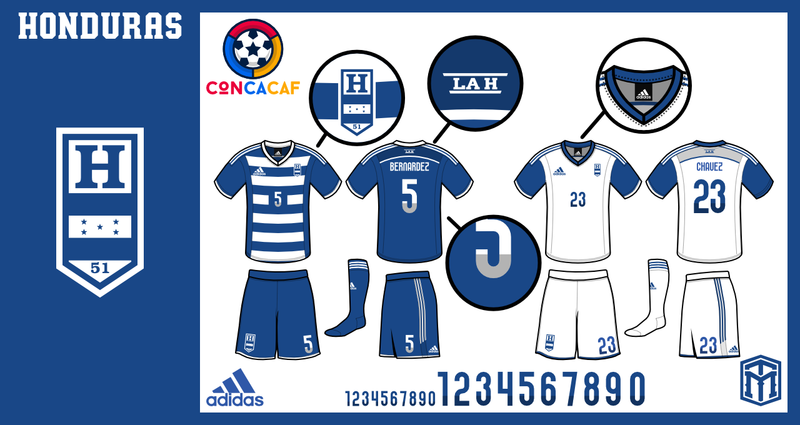 I know it's hooped, but this old Honduras concept I did is a random favorite of mine just due to the fact the crest shape was memorable. For now, I'm sticking with the shield shape. This might be turning into a series. The worst logo in American professional sports is in dire need of something new. Prepare yourself for some logo-explainerTM nonsense. an evergreen tree, because New England. is that a 3 pointed hat? look at that revolutionary as sh** font. I love the idea of rebranding NYRB as a Newark club and bringing back some of the old MetroStars brand. But I would rather it happen along the lines of "NJ Metros" or "Metro FC." 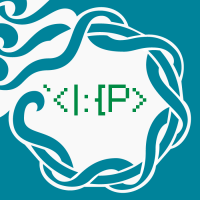 You could still make some pretty cool wordmarks the way you did it. 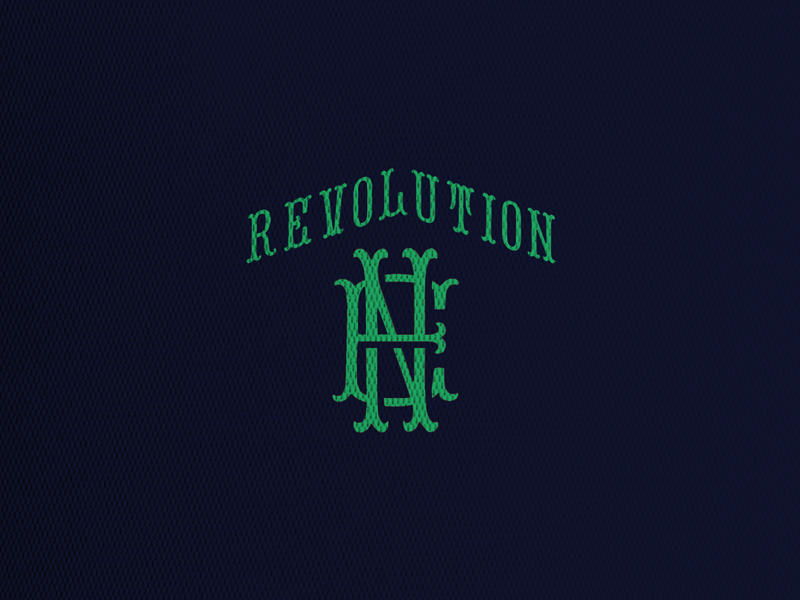 Also digging that NE monogram! That is exactly what the Revolution needs. The whole brand, like you said, is Revolutionary as sh**. If you do make kits I’d suggest using the NE logo as a stand alone for the crest used on the jerseys. 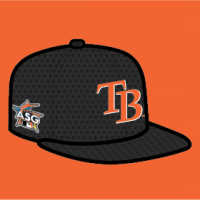 Mmkay, need a hat with the NE monogram the day before tomorrow. I have mixed feelings about the Cosmos one. This means some other city gets cucked out of an expansion team because NY had to have three teams. I do like the Metrostars revival though. I have mixed feelings about the Cosmos one. This means some other city gets cucked out of misses out on an expansion team because NY had to have three teams. I do like the Metrostars revival though. Well let's pretend that this version of the MLS has decided to split into two 20 team conferences and that on-field quality has only risen. While you're all here: What are some better names for Real Salt Lake? and yes, I know that it's been around long enough and is ridiculous enough that it's cool now. I'm still over it. where do you get ur background for ur pics? Real rough draft, just to put some ideas on paper. I put some logo-explainers in there, I don't think they're too distracting. 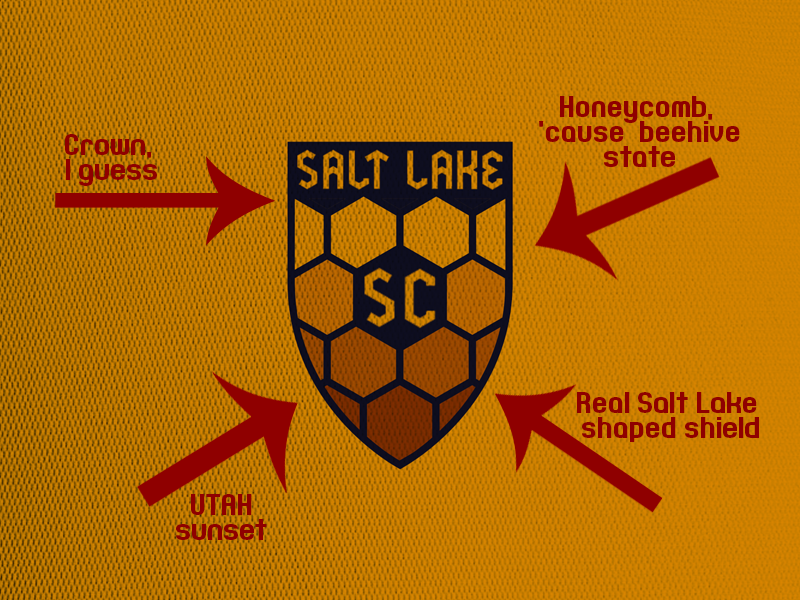 But seriously, I'm against the name Real Salt Lake. There aren't a lot of great name options for Salt Lake City. 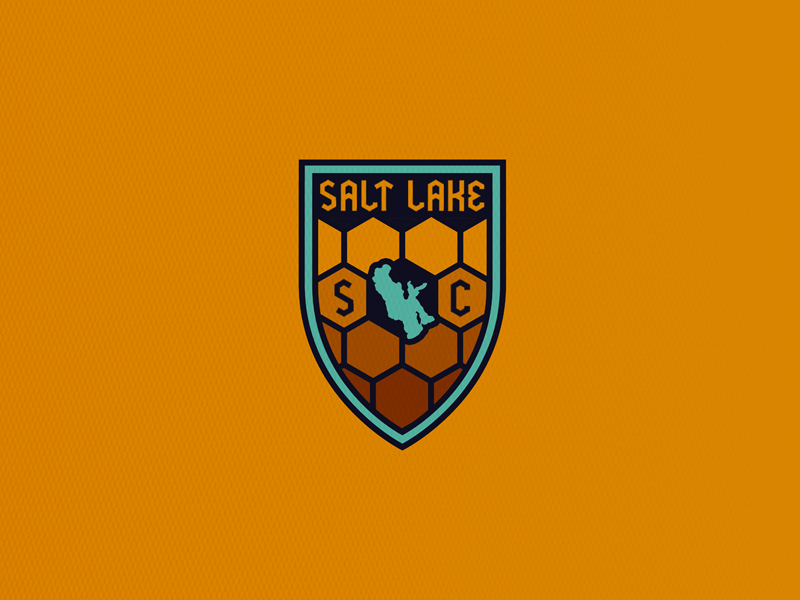 Great Salt Lake SC, SLCSC. The MLS already has two 'City' clubs. I'm not sure where I'm going with this concept, but it's unfinished and I need your help. Edit: Some late night, polar vortex upates.